This page is a guide to different articles that will help you understand ski exercise and why it is important to do it right to get all the benefits. 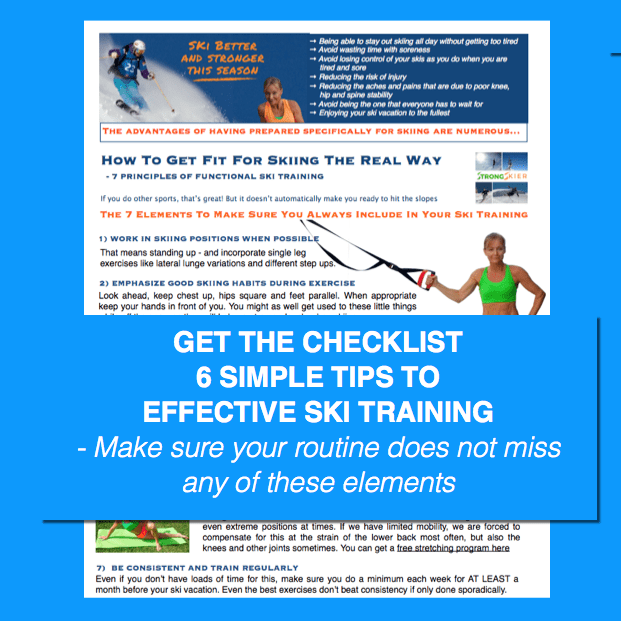 If you don’t care to read about all of this and just want to get started on a plan to get fit for skiing – the most direct way, I have made these SKI EXERCISE PROGRAMS that will help you get fit for skiing in as little as 2 x 30 minutes a week. Finally, if you are mainly concerned with preventing certain pains you have when you are skiing or you are returning to skiing after an injury, click here.